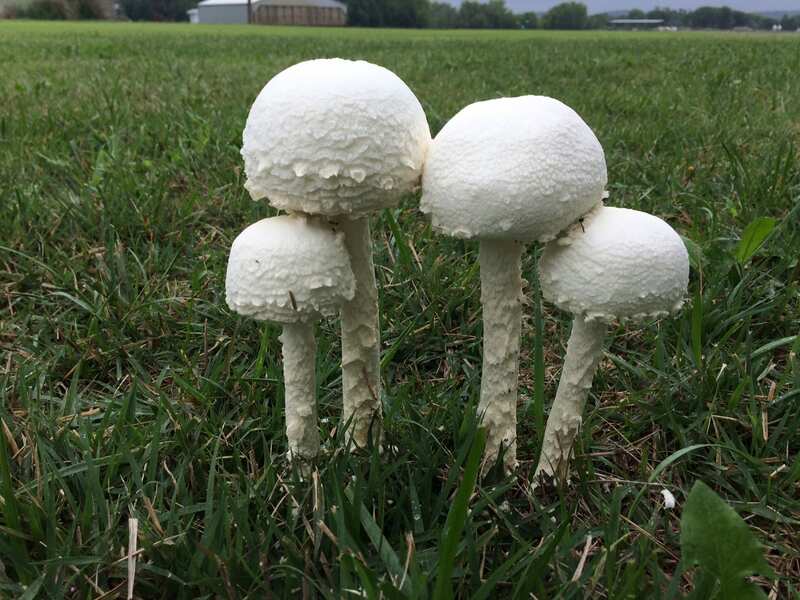 Fungi love wet, humid conditions. Parts of Kansas have received a lot of moisture lately. 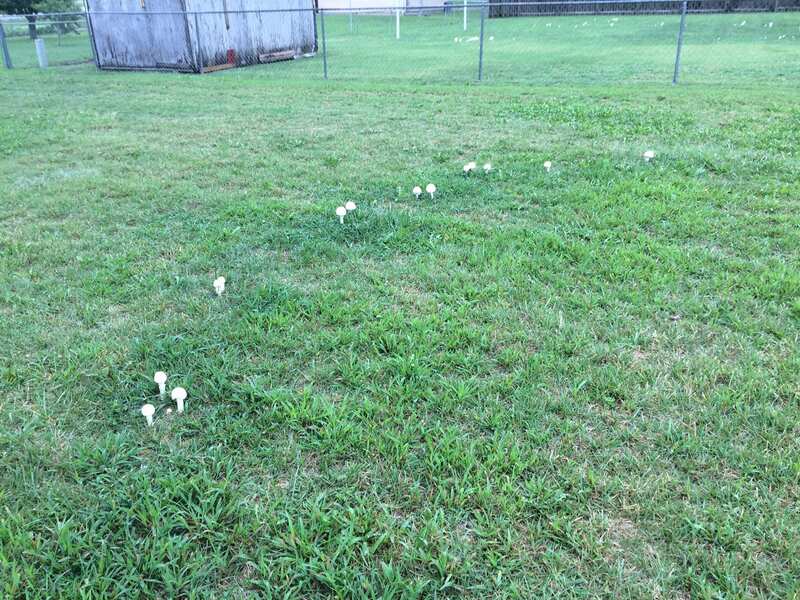 Brown patch mycelium on a morning with fog and dew. If you look closely you’ll see the lesions, too. You can see the white mycelial threads if you look closely. 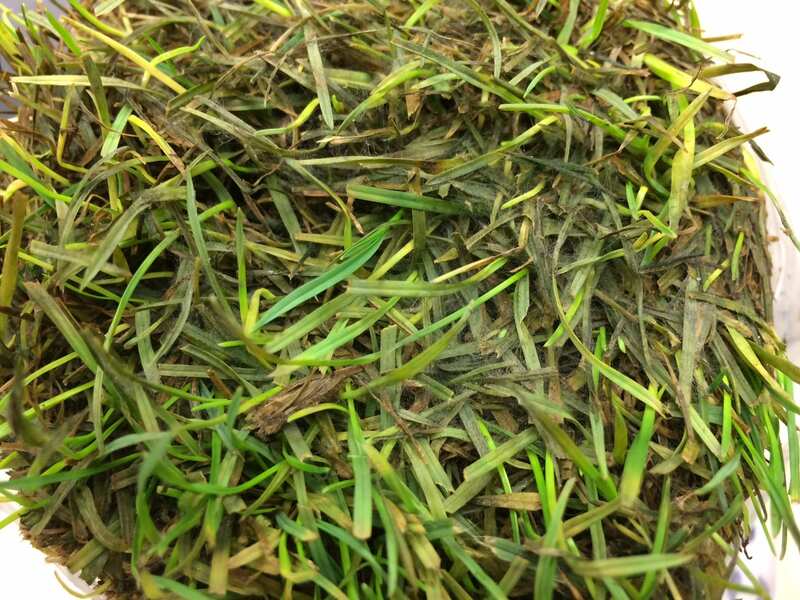 Also notice how the turf is so matted down and soggy/greasy in appearance. Cultural practices are outlined HERE. 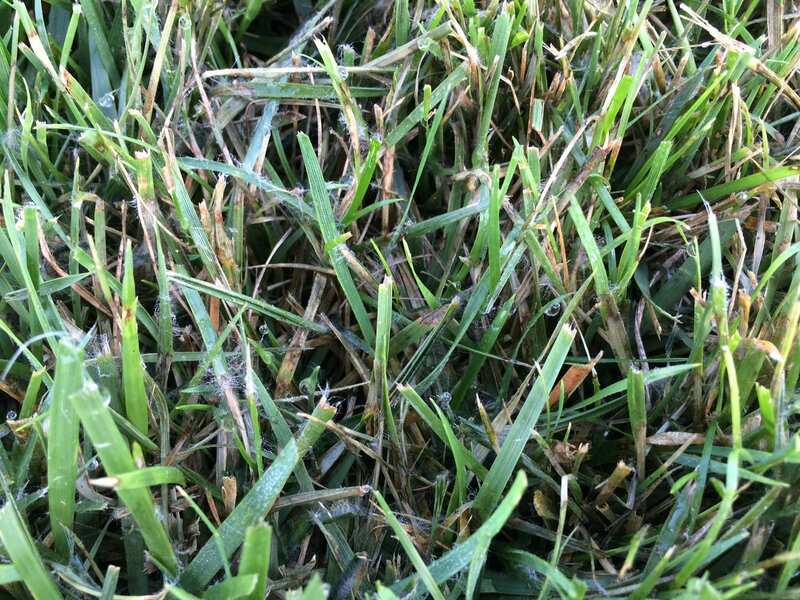 Conditions for both Pythium and brown patch “should” be ending soon, and cool fall weather alone acts as a natural fungicide to slow those 2 diseases down just as our cool-season grasses find themselves in optimal conditions to grow. 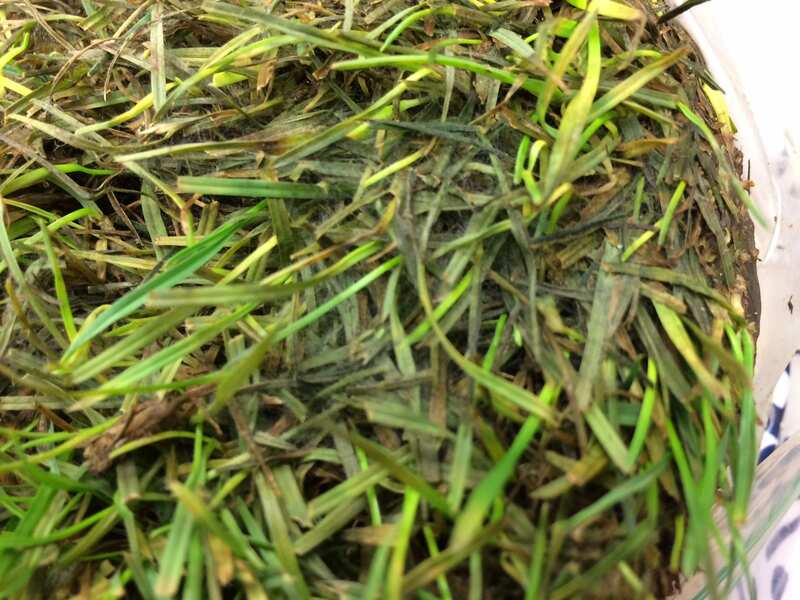 Recovery and seeding season is right around the corner. 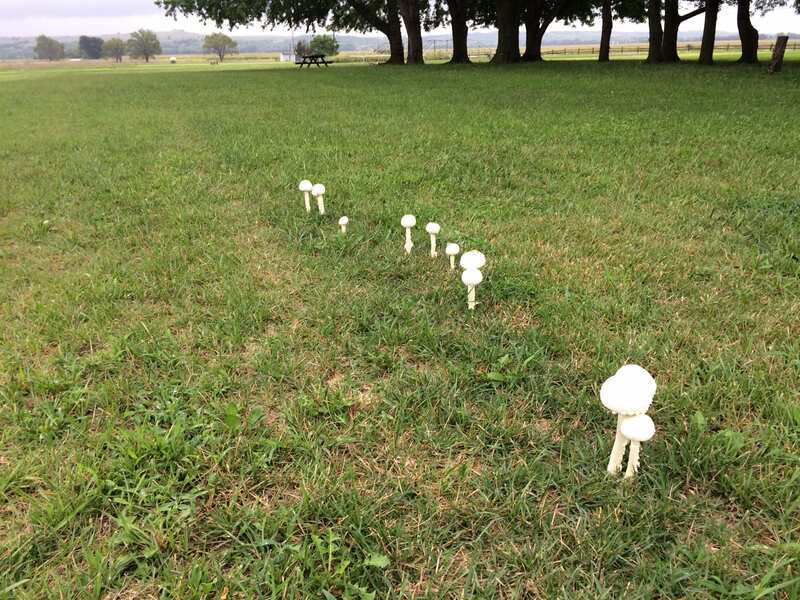 Some mushrooms are associated with fairy rings, and there is some information about that HERE. It’s kind of cool but creepy at the same time.